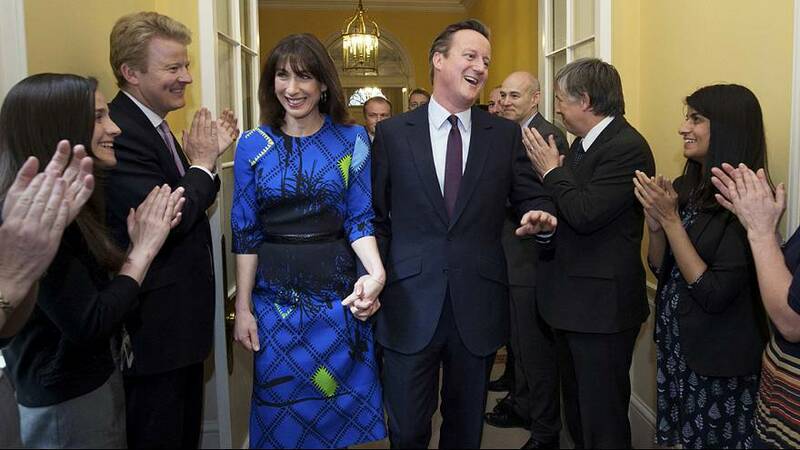 Back in power, British Prime Minister David Cameron is forming his new government. The Conservative leader has already announced that George Osborne will remain as Chancellor of the Exchequer and has also been promoted to first secretary of state, Theresa May will stay on as Home Secretary, Philip Hammond will continue as Foreign Secretary and Michael Fallon will retain the defence portfolio. The Conservative party won enough parliamentary seats in Thursday’s election to go it alone and form a majority government. Cameron has paid tribute to the Liberal Democrat and Labour leaders, who have both resigned. “I’ve been proud to lead the first coalition government in 70 years and I want to thank all those who worked so hard to make it a success and in particular on this day Nick Clegg,” said Cameron, outside 10 Downing Street in London. Britain’s future role in Europe is now in the spotlight, with Cameron promising an in-out referendum. It is set to become a major issue during his second term in office. “Given the size and the unexpectedness of the result, David Cameron may want or try to bring forward the date of the referendum. But most of all now, he will have to clarify what it is that he is looking for,” said Marco Incerti, research fellow at the Centre for European Policy Studies.